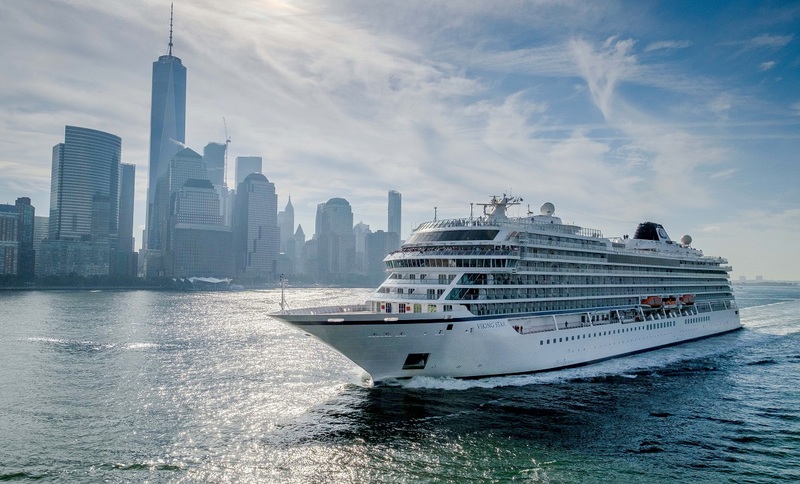 Viking Ocean Cruises today welcomed its first ship, Viking Star, into the New York harbor as part of its inaugural North American voyage. The 930-guest ship docked at Manhattan Cruise Terminal at midday, just after sailing past the Statue of Liberty with a reception by New York Fireboats. On October 11th, Viking officially commemorated its first United States port of call in Boston, with a traditional maritime plaque ceremony attended by local officials and dignitaries. This is the first time Viking has sailed into North American ports, which are part of the company’s new itineraries exploring the Americas and the Caribbean. After departing from the Manhattan Cruise Terminal on October 14th, Viking Star will sail for San Juan, Puerto Rico, which will serve as her homeport for the winter season. From San Juan, the ship will sail the 11-day West Indies Explorer itinerary, which also calls on ports in the British Virgin Islands, Antigua, St. Lucia, Barbados, Guadeloupe, St. Kitts, St. Martin and the U.S. Virgin Islands. With no sea days on the itinerary, guests are able to avoid the time at sea typically associated with Caribbean cruises originating in Florida. While sailing West Indies Explorer, guests will have an opportunity to learn onboard about the destinations from local experts, historians and lecturers, as well as through a variety of shore excursions, including optional visits to museums, gardens and historic sites. Viking Star will return to Europe in February 2017, with a transatlantic sailing from San Juan to Barcelona.